Tad 2016: The Rezort Reviewed! Elif is a young teacher who is about to face the dark past. Made the wrong time, a terrible magic. Zombies Nazis with a doomsday device. Does it get any better? Not having seen the first "Outpost" movie, I had no pre-set hopes or expectations for "Outpost: Black Sun". 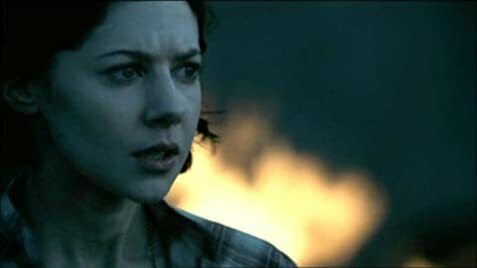 So I had no idea how much the story in "Outpost: Black Sun" was tied to the story in "Outpost", and not sure if any of the characters were from the first movie. And as such, I wasn't disappointed in any way. Started the movie with a clean slate and open for impressions. I found "Outpost: Black Sun" to actually be quite good, and it did spur on an interest to go watch the first "Outpost" movie as well. This movie is full of adrenaline, fast packed action, conspiracies, treason and of course zombie Nazis. The story in "Outpost: Black Sun" was alright, sort of a bit on the epic doomsday device side of things, but hey, we are dealing with zombie Nazis and their agenda here, right? 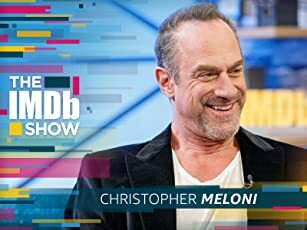 Right from the very beginning, you are swept up and caught up on the storyline here, and you want to see what happens next, what lurks around the next corner in the gloomy bunker. The acting in the movie was quite good, and I think all people did great jobs with their given roles. Even those playing the zombie Nazis as they didn't even have any lines to perform, just groaning and growling. For a movie with zombies, then "Outpost: Black Sun" didn't disappoint. And I am a huge zombie aficionado. The zombies looked really nice, lots of great make-up and effects. However, sadly enough, there weren't actually that much gore, blood and mayhem as you might otherwise expect in a zombie movie. But still, the movie was driven by an intense story, so the lack of gore wasn't a problem. Whomever came up with the idea of zombie Nazis were on to something, because it is just works so nicely. 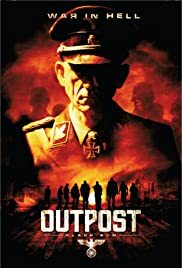 I recommend "Outpost: Black Sun" if you like zombie movies, if you like war movies, and if you like fast-paced movies that have a twist of events here and there. Two rotting thumbs up for "Outpost: Black Sun". 8 of 17 people found this review helpful. Was this review helpful to you?